For budgeting small increments of time, there are several free countdown timers you can open with your browser, but one of the easiest to setup and read is from Onlinestopwatch.com. This site actually offers a two-for-one deal—it has the option for choosing a stopwatch or a countdown timer. To start the timer, click on the red down arrow and then set your time duration. The maximum time is 100 hours 40 minutes and 39 seconds. The display shows the countdown to one hundredth of a second just like a stopwatch. A pause button allows you to factor out unexpected distractions so they don't count against your budgeted time. Minimize the browser window to have it show while you work on a separate document without having to download any software. 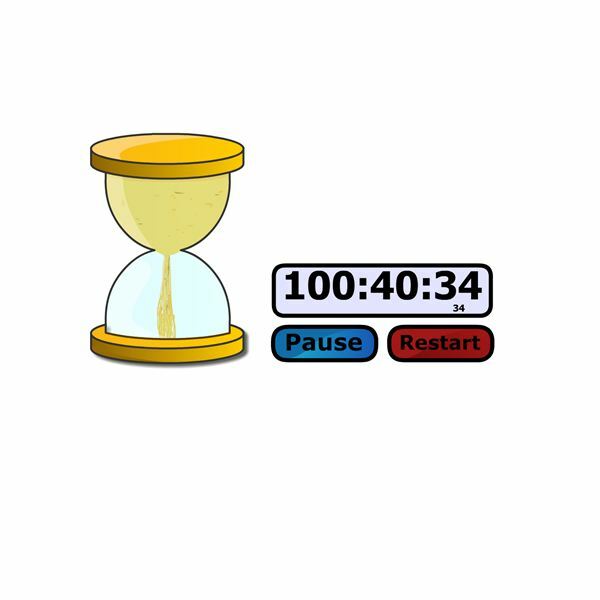 For the minimalist, e.ggtimer.com offers its basic countdown timer with a plain vanilla display. To make up for its subtle appearance, this timer offers a timer that can be set for years in advance. The feature is ideal for keeping track of long-term projects or deadlines and making sure that they aren't put on the back burner and then forgotten. The Pomodoro Technique™, created by Francesco Cirillo, is a work schedule that includes periodic breaks designed to promote the highest levels of productivity. It is no coincidence that there are mandated employee breaks to ensure safety as well as workers' well-being. The general thinking is that productivity can be improved by taking short breaks and returning to work with a fresh perspective and refocused concentration. There are several Pomodoro timers that you can download for free to work outside of the browser. E.ggtimer.com offers a web-based timer with one 26/5 cycle that is one well-suited for project management and is easy to setup. f you have always wanted to have the code to set up a countdown timer on your website or blog, then onlineclock.net is the website for you. Simply specify the date and time for your countdown, then click the generate button. A code is produced in a scroll window, which you can then cut and paste to your website. Add a title for your timer and a description of what it is you're counting down to and you are ready to go. Have you ever attended a meeting where a speaker ran on and on and everyone wished there was a polite way to say "Time's up." E.ggtimer.com offers a solution to the problem of overrun agendas with its next up timer. While perhaps a little daunting at first, a countdown timer can keep a meeting on schedule and moving forward through the agenda once the facilitator has the tools to enforce a time limit. You set up this timer by typing in the name of the meeting and agenda topics and then designating the time allotment for each topic. The default has two topics for 30 minutes, but additional topics and time adjustments can easily be made. 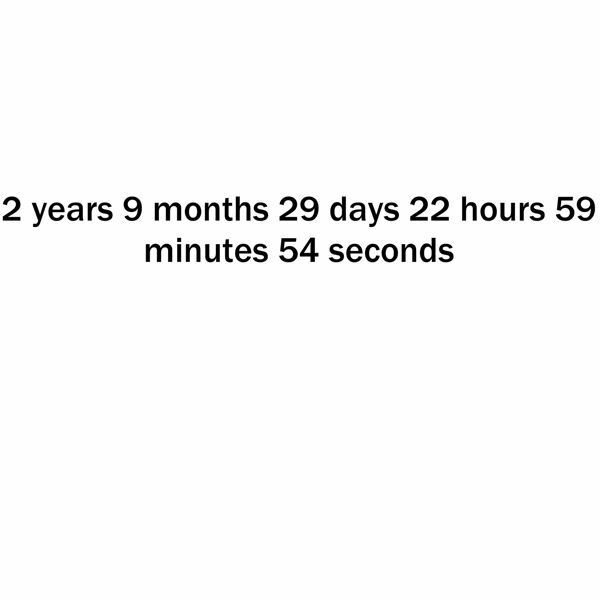 One of best customized countdown timers is available through timeanddate.com. The site allows you to customize your timer and then post it to a website. Some of the features that you can adjust include counter size, text rows, font (serif or sans serif fonts), background colors and themes, borders, and padding. Counting down to a certain date is often used to mark important events, such as graduations, weddings, birthdays, and retirements. For project management, countdowns can be used to count down to certain project milestones, product launches, and key presentations to stakeholders. Timeanddate.com has a service that counts down to any date you choose. By entering a date in the past, it can also count up, for example, to see how long since a product was released or an advertising campaign was launched. Simply insert a date and time and this device will return the number of days, hours, minutes, etc. with the time ticking off before your eyes. While technically not a continuous countdown device, date duration calculators are great tools for quickly figuring out how much time is left to complete a project using today's date or an estimated start date along the critical path of the project. 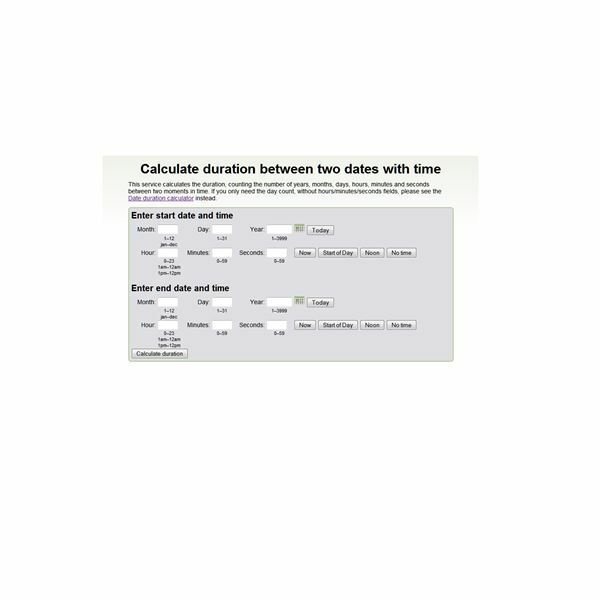 Among the top online offerings is Timeanddate.com's free duration date calculator. Enter a start and end date and the calculator will return the remaining time left. A short cut button for today's date, a calendar pop-up, and month and year drop-down lists make it easy to enter dates. Another short-cut button allows you to choose noon as your starting time, or you can elect to drop the time feature altogether and focus exclusively on dates. A couple limitations of this timer are that it does not take into account time zones or daylight saving time. The reverse of finding the number of days between two dates is finding the actual dates when you know the total number of days. For example, you know that a project's schedule is set for 90 calendar days, but you want to immediately know the date. 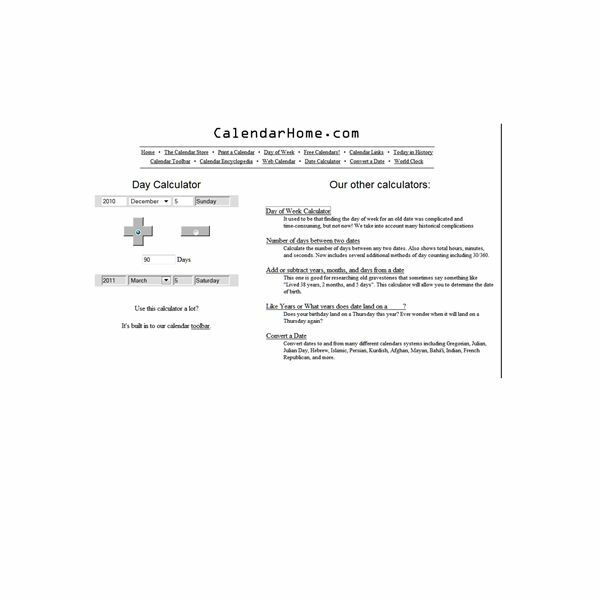 This countdown timer from calendarhome.com can provide you with the answer. Type in the number of days and then use the plus or minus symbol to find the exact date on the calendar looking ahead or behind. A countdown timer with an audio or pop-up alarm is an added bonus. SavantTools.com offers a nice choice with a personalized alarm message. Set your time and then check the alarm and/or personalized message. Type in your personal message, such as "Time's up. What are you going to do now?" When your time has expired, a pop-up box appears with your message and a catchy arcade-style tune plays until you turn off the alarm. 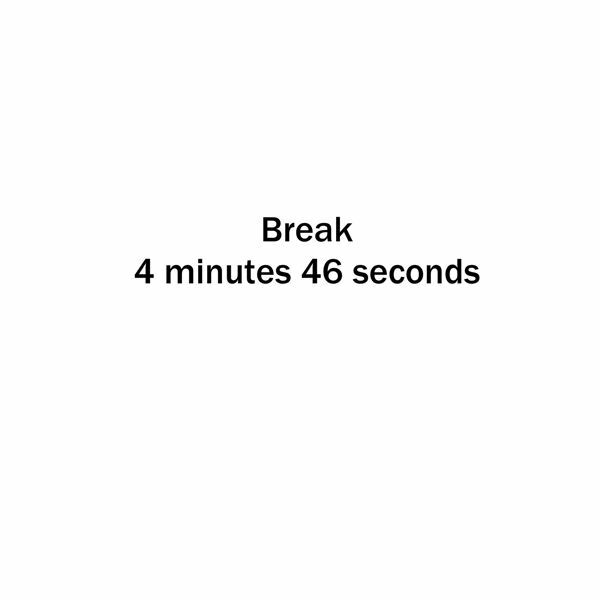 This timer is definitely an attention-grabber, so use sparingly around others. "FAQ – The Pomodoro Technique™." The Pomodoro Technique™. https://www.pomodorotechnique.com/faq.html (accessed December 5, 2010).